“The Anointing is on You for Your Assignment!” says Lance Wallnaul Advancing the Kingdom of God by Conquering the 7 Mountains of Culture! Jesus called us to transform our culture. No matter what culture we are in, or what culture we desire to impact for Jesus Christ, everyone has seven areas of influence that can also be called “Mountains”: Family, Religion (Church), Government, Arts & Entertainment, Media, Education, and Business. When we begin to understand how each of these areas affect culture, we can begin to understand why we have been placed where we are to most effectively use our gifts and talents for the Kingdom of God. But, the big question is, how do we do this? Lance Wallnau addresses these very realities as to how to impact culture. 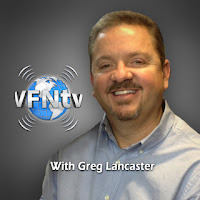 This is the essence of VFN Kingdom Business! During Wallnau’s extensive experience working with different corporations and organizations around the world, he has encountered many different situations that has given him the wisdom he has today. One particular situation he shares, is when a corporate board asks Wallnau’s wisdom on what to do about needing to change the name of a company. A man had a successful design for a battery that would work effectively in the market of China. Problem is, the name of the company was “Jesus Loves You Batteries”. While explaining how the story ended with a success, he points out, “If you want to penetrate world systems, don’t advertise prematurely what your agenda is…” Instead, “you establish your preeminence within a certain field, and then you unveil your theology”. The wisdom is how we reach and impact those in culture, and the timing that we do it in. This is what VFN Kingdom Business is all about. Many want to be effective in their areas of influence, no matter where that may be in the marketplace; whether it be in government, in media, in education, or in any other mountainwithin culture. By understanding the realities of culture, and how we can effectively transform culture for the Kingdom of God where God has placed us, many will find themselves no longer bored with what happens on Sunday mornings because we can clearly see how applicable, and necessary it is during the other six days of the week! Be revitalized and stirred in your faith to begin seeing where God has placed YOUas the MISSION FIELD in your respective mountain of culture, and so much more. Also shared in this segment: vision, purpose, Corporate America, government, prayers, evangelism, boredom, assignment, business ideas, relationships, and unity. Greg and Steve shared in this segment. WATCH! Elon Musk Discusses Whether Humans are Really Here or Are We in a Computer Simulation? ; Francis Chan; Has Generation Z Lost Connection with God?